Women taking thyroxine, or thyroxin, supplements have a higher risk of breast cancer. The reason maybe the hormone supplement, it may be that the underlying problem was (and still is) low iodine, or it maybe an underlying gut problem. It could even be a combination of all three. What is clear is that there are links between thyroid issues and breast cancer and here we explore them. A link between diseases of the thyroid gland and breast cancer was first noted in the early 1970s, since when there have been many expert articles. Some have linked people taking thyroid hormones with a higher risk of breast cancer (6). Others have questioned whether the culprit is low iodine lying behind both the poor thyroid performance and the breast cancer. There may even be a gut issue. For example, Turken et al (1): Women with breast cancer have higher levels of anti-thyroid peroxidase antibodies and the incidences of autoimmune and non-autoimmune thyroid diseases is higher in women with breast cancer. Auto-immune diseases are no known to start in the gut. Ordinarily, you would expect people with sluggish dispositions and lower metabolic rates to have less cancer. In 2005 a team of researchers at the MD Anderson Cancer Center in Texas showed that women with lowered thyroid activity had less breast cancer by 61 per cent. Women with high thyroid activity developed more. And women with breast cancer were 57 per cent less likely to have hypothyroidism (that is where a person produces less thyroid hormone). There also seems to be a breast cancer - thyroid cancer link. Rates of thyroid cancer are increased in women with a history of breast cancer, and vice versa (2). Clearly there is a link, but it is not 100% clear whether it is one link or several, nor whether the link is direct or indirect. Many experts believe that the cause might be more to do with the gut as there seems to be links with Chronic Fatigue Syndrome and particularly Hashimoto’s which is usually dubbed an auto-immune disease because the immune system attacks the thyroid gland resulting in less thyroxine being produced. The medical solution is to prescribe a supplement of thyroxine, rather than treat the gut issue. Chronic Fatigue Syndrome is now understood to be caused by an imbalance of gut bacteria and yeasts. Hashimoto’s has now been shown to be linked to Small Intestinal Bacterial Overgrowth, or SIBO. Hashimoto’s is associated with a higher risk of thyroid cancer, in turn being linked to an increased risk of breast cancer. Your hormones are all linked in a finely balanced web. The technical name for this is homeostasis. Put one out and the rest will soon follow. Increase the levels of one, and some others will increase too, while some will decline. HRT is known to throw out hormone levels and leads to a three-fold increase in breast cancer risk, for example. If someone comes to us with sluggishness, tiredness, low energy, we would first look to gut problems. If we suspected a thyroid problem, first we would test for low iodine. We find this in about two-thirds of patients. Without iodine you simply don’t make enough thyroid hormone and the metabolism slows. If iodine is not the issue, as a last resort we supplement with thyroxine. Once a person starts taking it, they are committed for life. You don’t start lightly. In fact, we prescribe different levels for different body weights and even change the dose by season, depending upon whether it is hot or cold weather. None of the British women on thyroxin we come into contact with on Personal Prescriptions has ever been given an iodine test. The thyroid is an organ in the front of the neck and is shaped rather like a butterfly. The thyroid glands principal hormone is thyroxin, or thyroxine and this has a metabolic-rate-increasing effect on almost all of the tissues of the body. The University of Maryland has linked high levels of the hormone to excitable, hyperactive children and ADHD. A lack of thyroid hormone (hypothyroidism) is associated with symptoms like a puffy face, tiredness, fatigue, and low energy. Other more rare symptoms include muscle cramps, hair loss, constipation, depression, memory loss and decreased libido. Since the metabolic rate declines, it is likely that the patient will also gain weight more easily. Hypothyroidism in extremis can lead to changed (decreased) ovulation patterns in women and even loss of fertility. Equally, a number of pregnant women suffer from the disease but do not notice it, as fatigue is all too common anyway in pregnancy. One in seven women, and one in twenty men develop low thyroid hormone production as they age. Often they don’t even know it. A simple blood test can be used for diagnosis. The thyroid, in fact, makes two hormones - triiodothyronine (called T3) and thyroxine (T4). They are tyrosine-based hormones and both are partly composed of iodine. Tyrosine itself is a non-essential amino acid derived from the amino acid phenyialanine. It is essential in brain function because it is involved in neurotransmitter production - dopamine, epinephrine and norepinephrine. Tyrosine-kinase has now been linked with cellular energy systems, and cancer regulation. Levels of iodine in the human body have been falling and this is blamed on modern diet. Organic, unrefined foods provide the best sources - particularly sea vegetables, kelp and seafood. Some people believe iodine deficiency is linked to higher cancer rates. Thyroid hormone supplements and cancer? 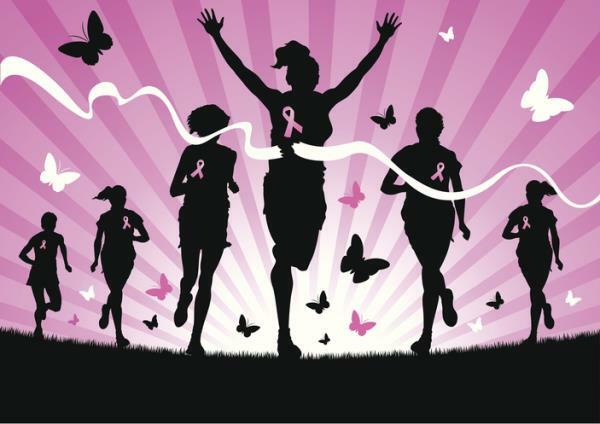 Importantly, Dr Massimo Cristofanilli, leading the MD Anderson research team (5) stated that: Thyroxin and oestrogen shared many similar pathways in the process of breast cancer. If drugs like Tamoxifen can be used to block the oestrogen pathway (via receptor sites on breast cells) then it might be possible to design drugs to block the thyroxin receptors. Oestradiol, a particularly aggressive form of oestrogen, is known to attack receptor sites on cells and create havoc inside them particularly in the mitochondria (the power stations), such as increasing sodium levels, decreasing potassium, magnesium and oxygen levels and as a result causing the cell to power down. The result can be cancer. In women with low levels of thyroxin, there seems less cellular attack by oestradiol, and less cancer. A hormone made in the pituitary gland directly stimulates the thyroid to produce thyroxin. (This hormone, unsurprisingly, is called thyroid stimulating hormone or TSH). Again a dietary problem may restrict production of TSH but the issue may be far more complex. Anyone who has read Pillar IV - Mental State from our series about potential cancer causes will know that the chemicals of the brain have a great effect on pituitary function. Mental state may also be a crucial factor in this pituitary-thyroid-breast conundrum and certainly more significant than your doctors training in this area. All seems fine with the MD Anderson theory until you realise that the test groups were all devoid of supplementation. The respondents analysed were all normal, or high, or low. Full stop. A typical treatment for a woman with low thyroid hormone production might be supplementation using 80 mcg of synthetic thyroxin. And what prompted this article was that we received three applications for Personal Prescriptions each from a woman with breast cancer, each with low thyroid activity, but all having been prescribed thyroxin at exactly the same dosage level (despite different ages, sizes, weights) for more than five years. They were all under 55 years old and thus outside the high-risk age band for breast cancer. Now, there has been research on exactly this issue. A team of researchers from the Mayo Clinic (3) looked into breast cancer incidence one or more years after women were given synthetic thyroxin and concluded that women taking the supplement were well below normal rates of breast cancer: (47 vs 52.9). However, they compared the thyroxin-supplemented women with normal women and showed the rates were about 10 per cent less. Wouldn’t it have been more accurate to compare the supplement users to other hypothyroid sufferers who were not using supplementation and looked for any increase? Anyway, from the MD Anderson study we would expect a 61 per cent lower figure; but in the Mayo study, the supplemented group turned in a 10 per cent lowered figure. Was the difference due to the synthetic hormone? Simon et al (4) looked into much the same point and concluded that most research looks into the situation of thyroid disease, and even thyroid cancer. And this might not be relevant to simple supplementation for women with low levels of thyroid hormone. There is clear research in the USA that thyroxin therapy in the presence of iodine deficiency increases the risk of breast cancer and probably thyroid cancer as well. Endocrinologist, Dr. Guy Abraham (formerly of the U.C.L.A. Department of Endocrinology), is an expert who is convinced that everyone needs to be on iodine therapy until their iodine stores have been properly restored. Clearly if you start Thyroxin therapy and the cause was really low iodine, the original problem persists. So you are taking a potentially dangerous hormone whilst also having low iodine. The double whammy. It is thus imperative to first sort out your iodine levels Only if that doesn’t work, consider synthetic hormone. Hintze et al agree. Their research (European Journal of Clinical Investigation, 19:527-534, 1989) clearly favours the group on iodine over the group on hormone supplement. Maybe your first visit, if you are sluggish with no energy, should be to a naturopath who understands gut problems and iodine deficiency. 6. https://www.ncbi.nlm.nih.gov/pubmed/988872. Ghandrakant, C. et al Breast Cancer Relationship to Thyroid Supplements for hypothyroidism JAMA, 238:1124, 1976.